The presence of Solar Energetic Particles (SEPs) poses a serious health risk to humans in space, can result in increased radiation doses for high-latitude aircraft flights and constitutes a serious hazard for the micro-electronics and other hardware elements of satellites, aircraft and launchers. These groups of end users need reliable forecasts of possible enhancements in the radiation flux level, days beforehand, in order to plan flights, operations and EVAs (extra-vehicular activities). Enhancements of SEP fluxes result from explosive phenomena in the solar corona; these enhancements are known as Solar Particle Events (SPEs). 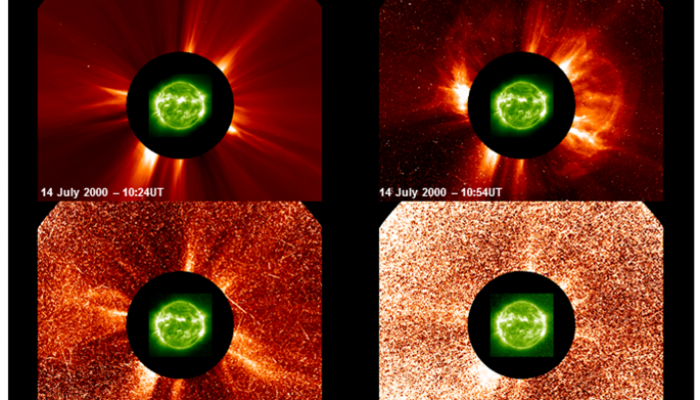 There are two phenomena known to contribute to SPEs namely, Solar Flares and Coronal Mass Ejections. CME-driven shocks might be the key driver but Solar Flare forecasting is much more advanced and SPEs driven by shocks normally have associated flares. The last five years the Space Research and Technology Group of the Institute for Astronomy, Astrophysics, Space Applications & Remote Sensing (IAASARS), of the National Observatory of Athens (NOA), has been involved in the development of new techniques and in the operation of web based tools, to provide reliable Solar Particle Events and Flares predictions. 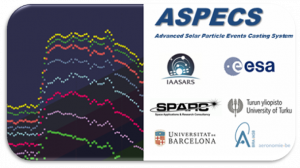 The FORSPEF (FORecasting Solar Particle Events and Flares) tool was developed with funding from ESA’s Technology Research Programme (ESA Contract No. 4000109641/13/NL/AK). In Figure 1 a summary of the operation capabilities of the FORSPEF tool is presented (for more details see Anastasiadis et al., 2017). The FORSPEF tool is a prototype system that consists of three modules that aim to forecast i) the likelihood of upcoming solar flare eruptions, ii) the occurrence of Solar Energetic Particle (SEP) events by making a prediction of the time before onset, and iii) the SEP characteristics for an upcoming event, respectively. Additionally, FORSPEF incorporates two operational modes, the forecasting and the nowcasting mode. The former is understood as the pre-event mode, since no actual solar event (i.e. SF or CME) has yet taken place. The only available information is the identification of an AR on the Sun and its calculated Beff metric (see Georgoulis and Rust 2007). The latter corresponds to the post-event mode, in which a solar event has actually taken place and its characteristics (for solar flares the longitude and the magnitude, and for CMEs the width and the velocity) are available. The solar flare forecasting module delivers conditional flare probabilities complemented by information on CME probabilities and expected CME speeds. The prediction of SFs relies on the effective connected magnetic field strength (Beff) metric, which is based on an assessment of potentially flaring AR magnetic configurations, and it uses a sophisticated statistical analysis of a large number of AR magnetograms. CME probabilities and projected speeds are based on the peer-reviewed published flare-to-CME association rates (Yashiro et al., 2005) and on the statistical correlation between Beff-values and recorded near-Sun CME velocities (Georgoulis, 2008), respectively. For each identified solar AR, the output of the FORSPEF flare forecasting module is a structure containing the AR NOAA number, its location, the corresponding Beff value, the 24-hour cumulative flare probabilities for each of the 28 GOES flare classes (from C1.0 to X10.0) and their peak photon fluxes (PPFs), the respective eruptive-flare or CME likelihoods, and the projected CME velocity. The SF forecasting produces histogram curves of the cumulative flare probabilities and CME likelihoods versus the flare PPF. The cumulative forecast probabilities for flares and CME likelihood for a sample AR are shown in Figure 2. For the prediction of SEP events, new statistical methods have been developed. These are based on a comprehensive database of SFs, CMEs and SEP events (Papaioannou et al., 2016). 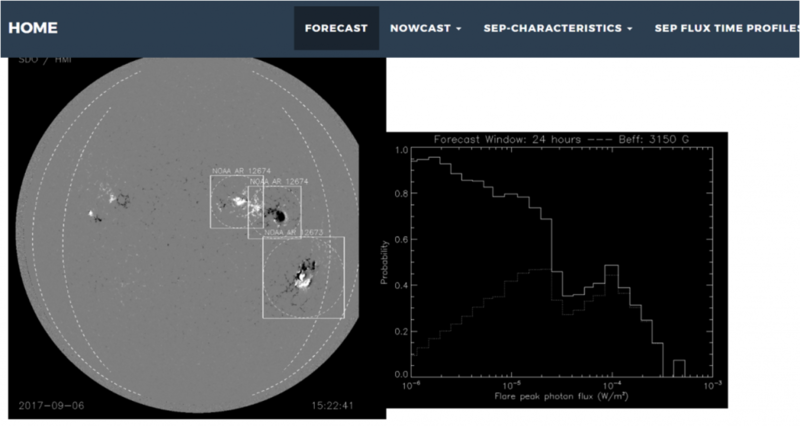 In the forecasting scheme, the FORSPEF tool provides the probability of SEP occurrence based on the information delivered by the solar flare forecasting. The kernel of the SEP prediction is based on the probability of SEP occurrence per solar flare magnitude which is derived from a historical sample of 4000 flares. These probability values are used to implement a local SEP statistical model via distribution functions. The FORSPEF tool in this forecasting scheme provides a weighted forecast for the expected occurrence of an SEP event per AR, calculated as the product of the local SEP module and the cumulative SF probabilities. 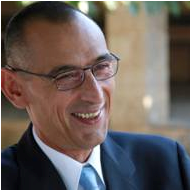 The output of the SEP forecasting scheme is the maximum probability for each of the considered ARs (Papaioannou et al., 2015; Anastasiadis et al., 2017). FORSPEF’s nowcasting scheme can be considered as the short-term forecasting that is triggered by a solar eruptive even. FORSPEF has developed two operational nowcasting modules –one that is based on near real-time solar flare information (longitude, magnitude) and another module that makes use of near-real time coronal mass ejection – CME data (width, velocity). For the first operational module the inputs of the FORSPEF nowcasting work-scheme are in practice the maximum flare flux and its position (longitude) on the visible part of the solar disk. FORSPEF makes use of all ≥C1.0 flares. For the second operational module the nowcasting scheme uses the near real-time outputs provided online through the computer-aided CME tracking software (CACtus), operated by ROB. 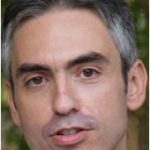 Further details on this module are presented in the recent work of Papaioannou et al. (2018). The FORSPEF tool has been released on April 06, 2015 and has been in continuous operation ever since. The FORSPEF system is registered to the SEP Scoreboard Challenge of the Community Coordinated Modeling Center (CCMC) of NASA. 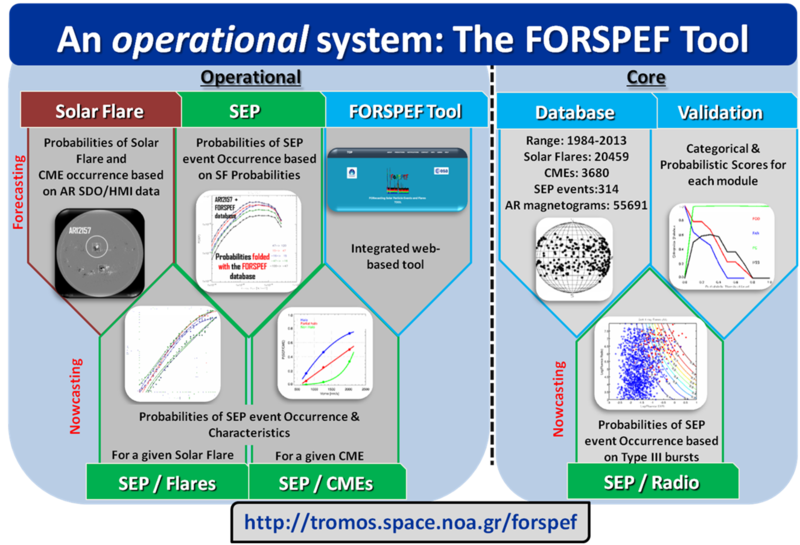 It is available online at http://tromos.space.noa.gr/forspef/ and provides continuous forecasts and nowcasts of SFs and SEP events. All outputs can be freely accessed and used by the scientific community. 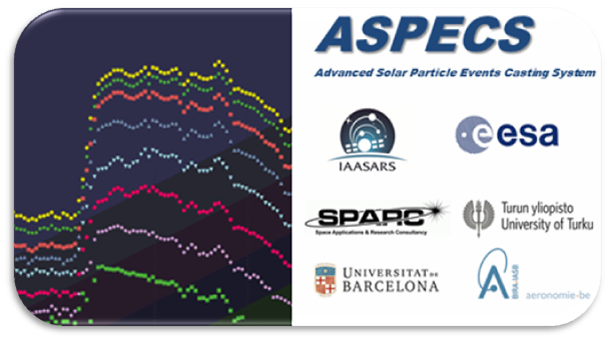 The ASPECS (Advanced Solar Particle Event Casting System) tool is currently under development by a consortium headed by the Space Research and Technology Group of the IAASARS/NOA, with funding through the ESA Contract No 4000120480/17/NL/LF/hh “Solar Energetic Particle (SEP) Advanced Warning System (SAWS)”. The consortium consists of an SME, SPARC (Greece); the University of Turku (Finland); the Universitat de Barcelona (UdB) and the Belgian Institute for Space Aeronomy (BIRA-IASB). ASPECS will collate and combine outputs from different modules providing forecasts of solar phenomena, solar proton event occurrence and solar proton flux and duration characteristics; tailored to the needs of different spacecraft and launch operators, as well as the aviation sector. The predictions shall start with the solar flare forecasting and will continuously evolve through updates based on near-real time inputs (e.g. solar flare and coronal mass ejections data/characteristics) received by the system. User requirements include a derivation of energies and thresholds important for different user-groups and warning levels. In addition, for the first time the complete time profile of the SEP event at respective energies shall be provided in near real-time, utilizing both simulations and observations. More info and updates on the current activity can be found at http://tromos.space.noa.gr/aspecs.